How to find the best long tail keywords and get your blog post to rank, immediately. Have you noticed that some bloggers always seem to rank high on Google? If you are blogging, or content marketing to make money from advertising, affiliate marketing or selling your products or services, you know that keyword research is vital. Writing a long article and creating content without thinking about search engine optimization (SEO) keywords first is a hit and miss affair. Perhaps you might get lucky with a few words and phrases that make it to a search engine results page. But usually, it doesn’t work very well. However, if you research related keywords and keyword phrases before you write your content, you will get much higher search results almost every time. You can use free tools for keyword suggestion but these generally return popular keywords or head keywords that are highly competitive. If you want to create content that is going to rank and attract very good search volume you need to be very specific about how you plan to rank for search terms and find long tail keywords. Google Analytics and Search Console are great tools, but they only give you historical data about your own keywords. Google Trends is also useful, as is the Google Adwords Planner, but they are more for ideas rather than being a deep keyword research tool. I am sure you have used every keyword inspector you could find if you are serious about SEO and getting more search queries and organic traffic. But, have you ever thought about looking at your competitor keywords and search traffic for content and keyword ideas? Did these professional keyword research tools help make my article rank? It’s not spying and it’s not stealing. It’s research. But to access the data you need to be using professional SEO tools. 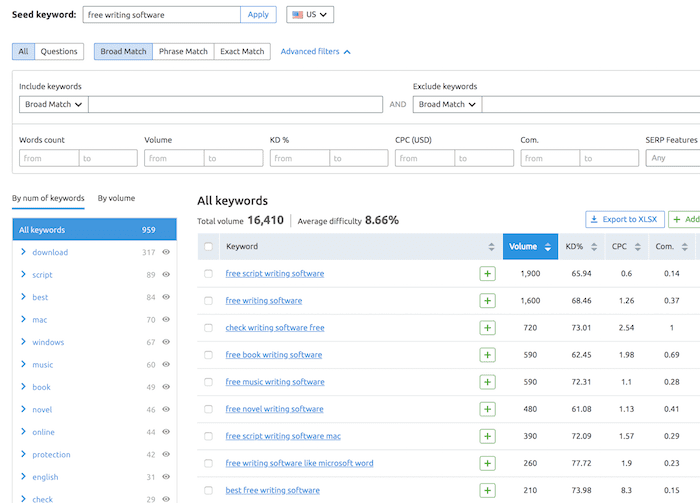 The best I have come across for competitive keyword research and analysis is Semrush, and I will show you why it is so powerful. As a starting point, let me show you how I created one blog post and got it to rank high and deliver a steady stream of organic search traffic to my site within days. 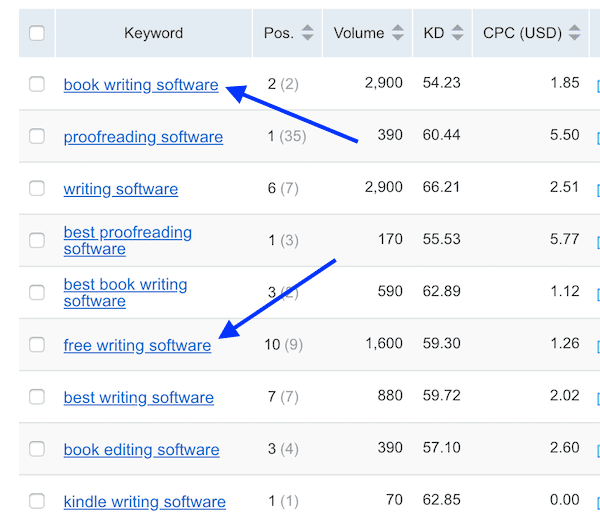 With Semrush, it is easy to find a list of my competitors’ keywords, but it gets even better with the Keyword Gap tool. 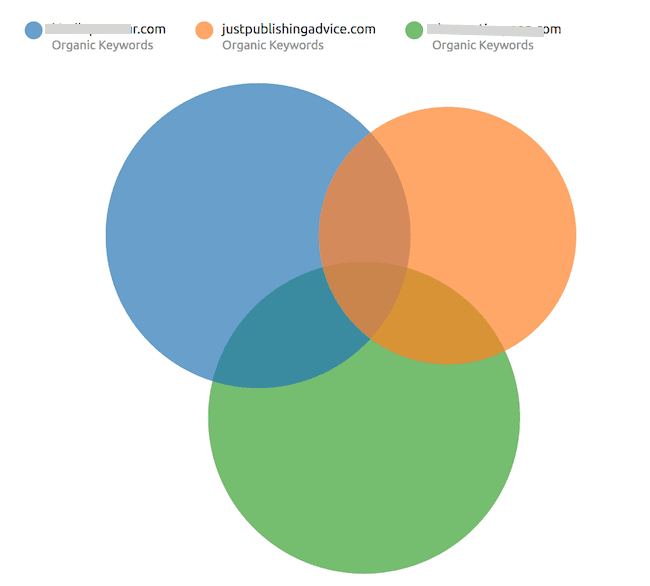 I entered two of my competitors along with my site, and by switching to graph view, I can see where there are common keywords for the three sites. By clicking on an area where there is no overlap, I can get a list of keywords that a competitor is ranked for, but my site is not. Then I can drill down to find keyword ideas that I know are ranking and reaching my target audience and potential customers. It took me five minutes or less to find and decide on my keyword choice. In fact, I chose two. I used free writing software for the example I am going to show you and kept book writing software for a later article. I chose these two because they both had a low keyword difficulty but with reasonable search volume. They were also an exact match for my target readers. With long-tailed keywords, you are not going to get huge search volumes but you are looking to rank very high. With my competitor ranking at number ten for this keyword, if I could rank in the top three, I could probably get 30% or more of the monthly search traffic. That would mean around 500 to 600 visits a month. 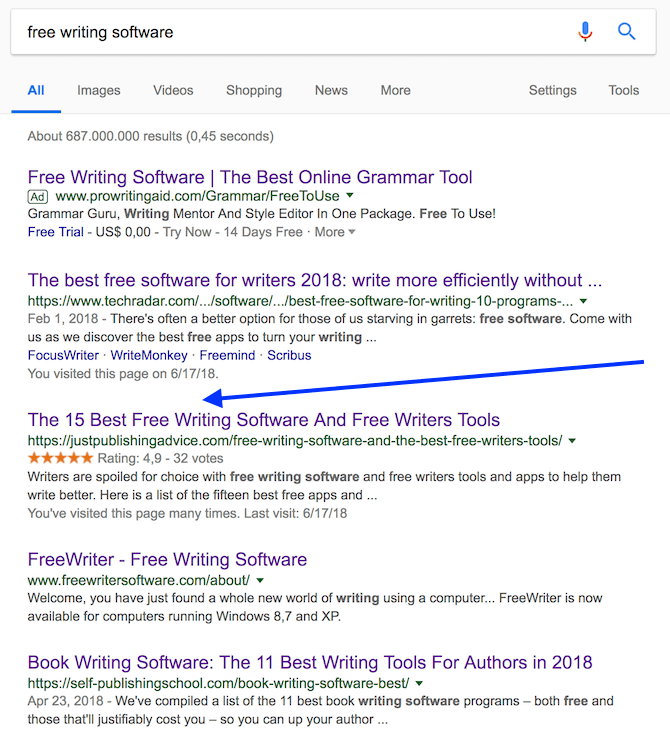 In this case, the header keyword of free software would have returned a search volume in the millions, but with an extremely high keyword difficulty. So I would have struggled to rank even in top 100, which would mean very little search traffic. To check my keyword, I used the Semrush Keyword Magic tool. With this keyword tool, I checked broad matches to see what related long tail phrases I could use in my article. As you can see in the image above, the total search volume (16,410) is greater than for my selected keyword. So using one or two within my text will help gain more traffic. However, if I wanted to dig deeper, I could have searched for broad matches or questions. Before starting to write a new article, you probably know that you should make a list of fifteen or so semantically connected keywords to use in your text. This can be a slow process, but again, Semrush can do it for me in just a few seconds. All I need to do is use its Content Creator to do the grunt work for me. Now I have my list of keywords, plus a list of possible backlink ideas. 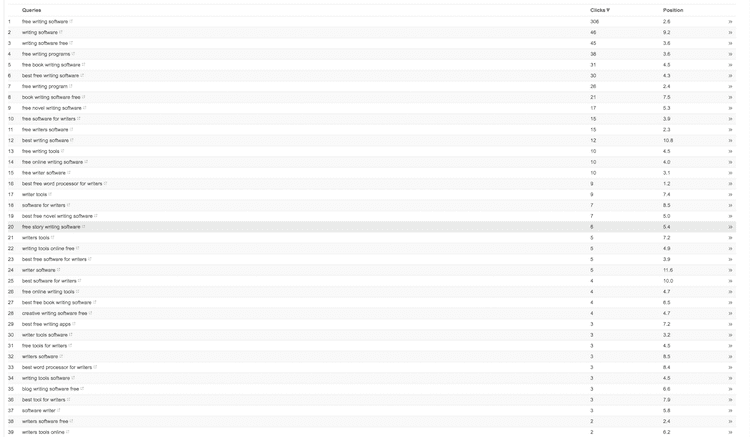 The keywords in the image above were extracted from the top ten ranking pages for my header keyword. In a lower part of the Content Creator report, there is a list of the top ten web pages, with links, so I can check the content for each one and try to improve on them. A little like the Skyscraper Technique, but much much quicker and easier. It took me a little over two hours to write my new blog past and prepare all the images. 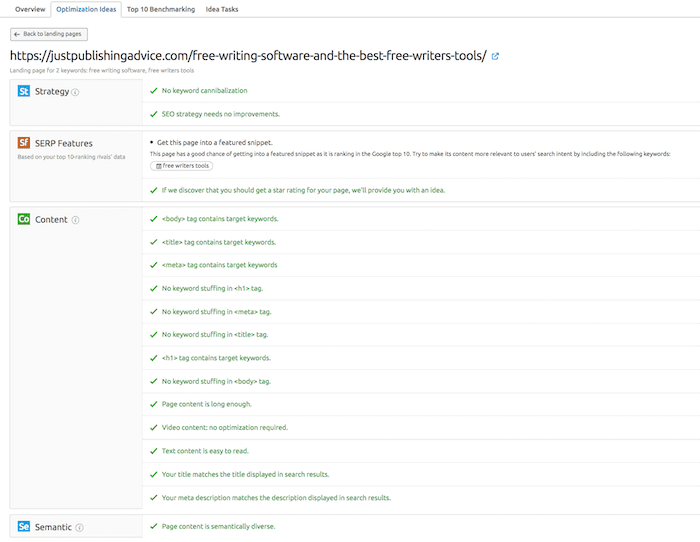 I added one of the keywords I listed from my research, free writers tools, into the title, as well as using all of the semantic keywords. Of course, I used my specific long tail keyword in the SEO title and meta description, as well as writing software in the H2 tag. 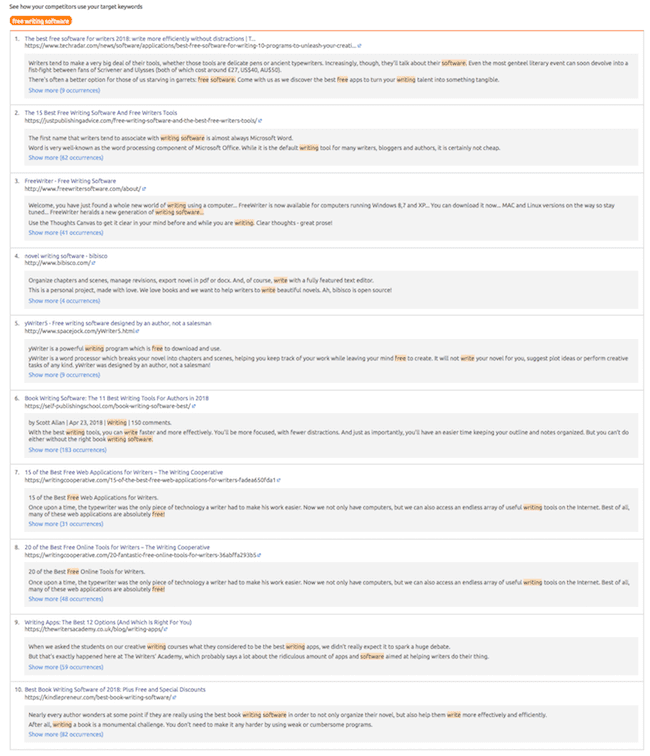 When I originally wrote the article, it was 10 tools, but I added five more a few days later once I saw that the article was ranking quite well. If I had done this only once, I would not be writing a long article such as this. While I don’t win every time, I do most times. Here is my page views graph from Google Analytics. Two days after publishing, my article started delivering around sixty visitors each day and continues to do so. And did it rank on Google? Yes. Ranking at number two, with 32 positive reviews. As is often the case, the first entry is taken by AdWords campaigns, so nothing I can do about that. But remember all the semantic keywords I used? It was for a very good reason. A check on Google Console shows me that my article is ranking for a LOT of keywords. I had to split the screen grab into two pieces to make it fit in this post. But there are 624 keywords that Google has indexed, and the first 50 are ranking in the top 10. So my research paid off and will continue to pay because my search engine traffic from this article will keep on coming, day in and day out. Okay, so I had a great result. But it doesn’t stop there. I can get a report at any time to check on my post to see if there are any new competitive keywords, or if there are any more improvements I can make. So far, all is fine. But if I check back in a few weeks, there will probably be a new semantic keyword or two that I can add to keep my post ranking highly. When you think that this one article is consistently delivering 50-60 visitors per day, you don’t need too many like this to get 1,000 visitors per day, every day. That is exactly the strategy behind long tail keywords. 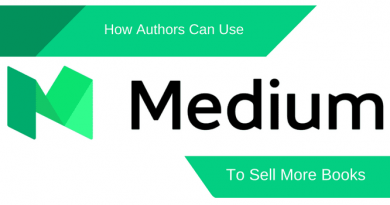 As part of your content strategy, you really need to look for medium volume long tail and semantic keywords with relatively low competition, before you write any new article. By doing so, you can easily get steady traffic which can only help your conversion rate for your products or services, affiliate income or advertising. Since I have been using Semrush and doing competitive keyword research before writing any new article, my traffic has blossomed. As you can see in the graph below, and the arrow pointing to when I started using Semrush, my organic traffic is doing very nicely. It is noticeable how little traffic comes from social media now. One year ago, it was equal to my organic traffic, and now it is only a small percentage. The increase in organic traffic has been due to writing articles that have a chance of ranking well in my topic area. To get even more traffic, all I need to do is write even more articles. But now I know how I can do that and to have a good chance to rank highly. My blog is very much in a very small niche market, so traffic in the millions is never going to happen. But my investment in Semrush is really paying off. Not only in traffic, but also in site income. If you are blogging for fun, this is not for you. But if you are serious about using your blog to make money, then competitive research tools are an absolute must. I hesitated for a very long time before deciding to spend what I thought was a lot of money. I dithered for months wondering if I could get a return on the investment because it is certainly not cheap. But once I bit the bullet and started using Semrush, a whole new world of opportunity opened up with all the tools it offers. When I first signed up, the monthly subscription was more than my Adsense revenue. Now, a few months later, my Adsense revenue alone is seven times more than my subscription cost. On top of that, my affiliate and services income has increased tenfold. And all because I can now spy on my competitors’ keywords. More reading: What Are Semantic Keywords And How Can They Help You?